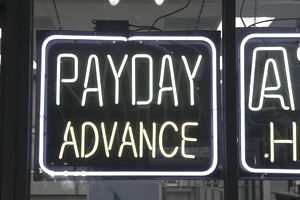 In general, payday loans are significantly more expensive than traditional loans. You may end up paying an annual percentage rate (APR) that exceeds 100 percent several times over. For example, you might pay a $20 fee to borrow $100 for two weeks. Depending on all of the terms, that calculates to an APR of more than 500 percent.